A colorful mixture of delicious flowers and tasty berries made especially for chinchillas. 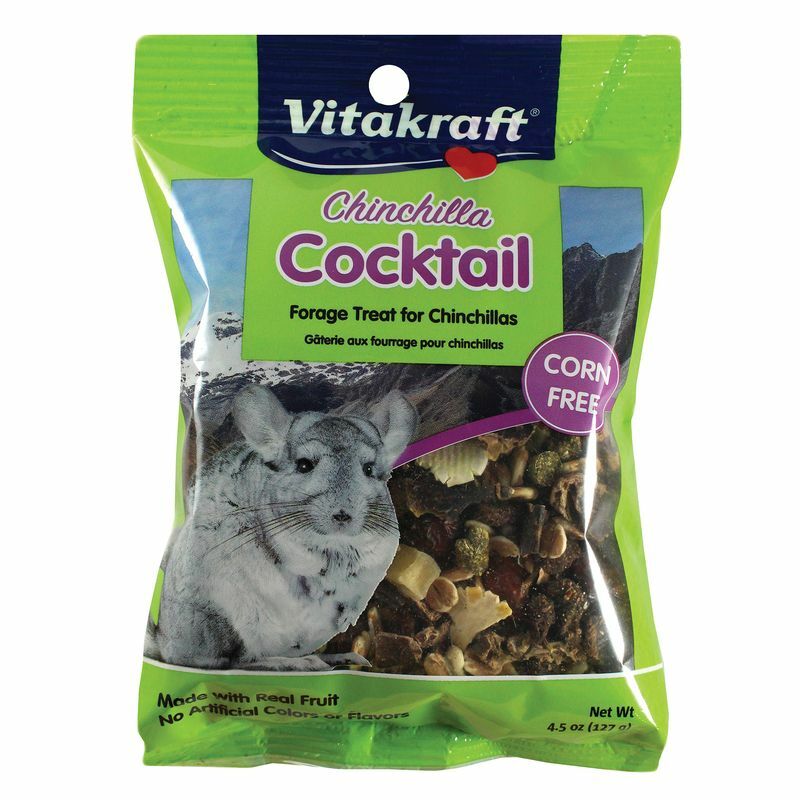 Chinchilla Cocktail is an easy-to-digest, tasty treat packed with all natural ingredients like rose hips, mountain ash berries, and vegetables. 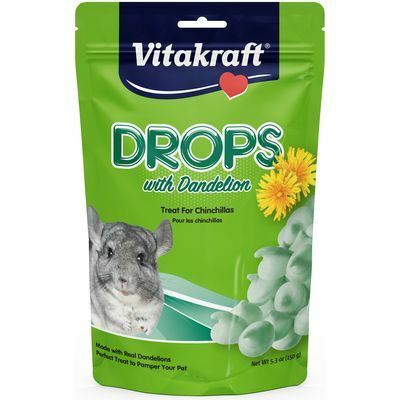 Formulated specifically for chinchillas to help add fun, variety, and nutrients to their diets. 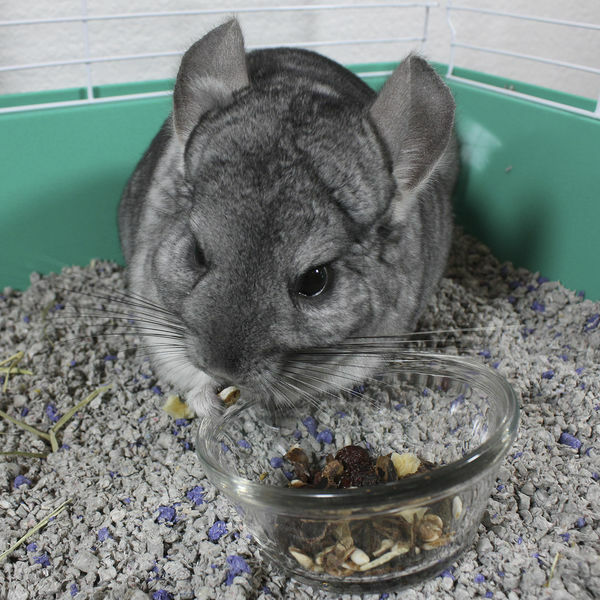 Feed your chinchilla 1-2 teaspoons of Chinchilla Cocktail daily, or less often as desired. Fresh, clean water should be available at all times. Store sealed in a dry cool place. 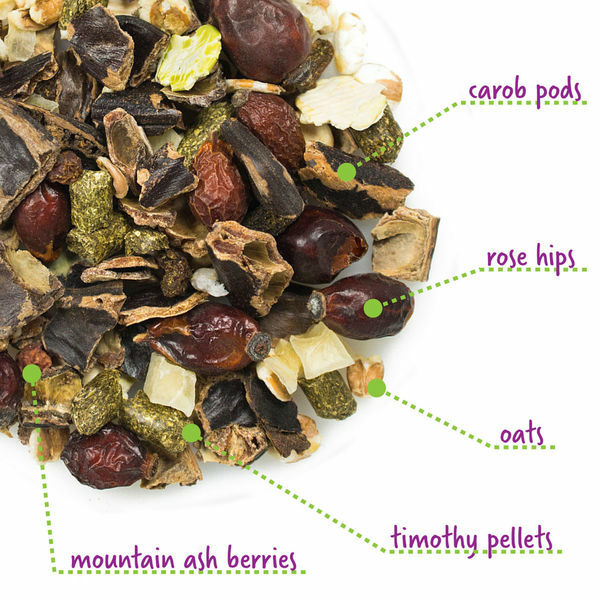 Carob Pods, Dried Rose Hips, Oats, Ground Timothy Grass Hay, Puffed Wheat, Raisins, Dehydrated Potato, Heat-Processed Peas, Dried Mountain Ash Berries, Puffed Rice, Calcium Propionate (a preservative). 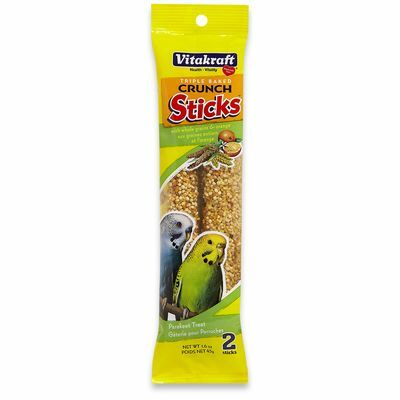 Vitamin fortified crunchy treat sticks made with millet, oranges, carrots, and honey for a tasty, healthy reward.